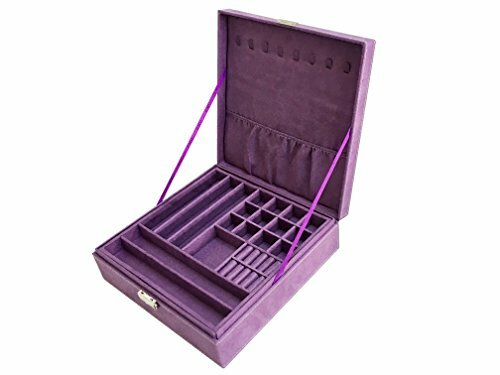 SODYNEE is excited to offer this compact Jewelry Box Jewelry Case Jewelry Organizer will help you to keep your jewelry and small things in good order with its divided slots. It is a good gift for girls or women. Approximate Jewelry Box Dimensions (L x W x H): 10.2″ x 10.2″ x 3.2″ . Brand: Sodynee – THE BEST CUSTOMER SERVICE – With our famous 100% satisfaction, you can have peace of mind. If for any reason you’re not completely happy with your purchase- if it breaks, if it’s damaged in shipping, or even if you change your mind – simply let us know and we will either replace it or refund your money, your choice!